We’ve got a new App! https://www.zinchairandbeauty.com/wp-content/uploads/iphone-zinc-app.jpg 832 350 mveale https://www.zinchairandbeauty.com/wp-content/uploads/zinchairbeautylogo.png mveale2017-10-23 10:55:282017-11-23 10:14:28We've got a new App! One of my new years resolutions was to start to really focus on looking after my skin and by this I mean using a really great skincare routine, regular facials, lots of exercise and plenty of water. Most of this is well and throughly underway although I have not perfected my skincare routine just yet, but getting there. I love relaxing treatments as much as the next person but to be honest when it comes to facials I want to see really great results and benefits for my skin and I sometimes don’t get this from a normal facial. I steam my face, apply masks and exfoliate on a weekly basis myself at home so when I visit the salon I like to get something done that I cannot do myself at home. I had seen that Dermalogica had launched a new facial peel treatment of late and was really intrigued so when I was invited along to Zinc Hair and Beauty in Kilmainham to try it out I really was a happy little lady. So what is Dermalogica’s Biosurface peel all about? Well, it is a resurfacing treatment that can “reduce acne, pigmentation and signs of premature aging” which will work with the skin to reveal a smoother, softer and brighter complexion. -The third step is where the actual peel is applied. Acid Active is applied to the skin which really gives the skin a deep exfoliation. This step can be applied more than once depending on the level of exfoliation your skin needs and wants. Your therapist will discuss this with you prior to starting the treatment. 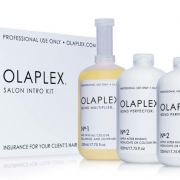 -After the exfoliation is complete the final step is to apply the De-celerator which works to calm any irritation and redness that may have been caused by the treatment. It also is a great boost for the skin and sets it well on its way to repairing itself. Well that is basically how the treatment works so how did I get on with it? I strangely enough found the whole treatment very enjoyable. If you are looking for a treatment that is very relaxing, lights off and soft music then this might not be the one for you BUT if you want to really see immediate results that last then this is definitely one to consider. Because I had peels in the past I could get Step 3 done several times which was great. The exfoliation was applied to my skin three times so I got a really deep exfoliation. Alot of people fear peels because they are afraid that they will burn or hurt them. There is definitely a sensation during Step 3 and as the product is layered onto the skin as opposed to it being removed and reapplied the sensation becomes more obvious the more layers of the Acid Active that is applied. However, I say sensation because for me that is all it was. It wasn’t sore, it didn’t burn and it wasn’t too uncomfortable….but bear in mind I have had a lot of peels so if it is your first you may feel a little more discomfort than I did but it won’t be anything too bad. Once the treatment is complete your therapist will give you a list of do’s and don’ts as well as a post treatment skincare pack which you have to use for at least the next 72 hours (or until peeling stops) post treatment to help your skin get back to itself. 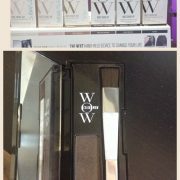 I think this is a really great idea and I was impressed to get some skincare to take home with me. I wasn’t worried about what skincare to use afterwards which completely took the hassle out of the process for me. Peels have become huge in the beauty industry in the past while and I myself had tried alot of them, some which really did cost me a small fortune. My one issue with them is that there is a bit of downtime associated with them because your skin tends to peel which makes wearing makeup a big pain as it just won’t stay put. Dermalogica claim that there is no down time with their Biosurface Peel which was an instant bonus for me. I love the results peels give me but the down time is turn off for me. I can genuinely say I didn’t have any down time with this treatment. I didn’t peel at all which meant that my skin didn’t need to however I do know some girls that did have slight peeling afterwards. I would say that if your skin needs to shed excess skin then it will peel but think of it as a positive as your skin wanted and needed it to happen. After the treatment my skin was instantly glowing and fresh looking and this lasts for about 10 days afterwards. The only side affect I got from the treatment was one really large spot on my cheek which was just excess dirt coming to the surface after the exfoliation….can’t complain with that. I also did have some tightness for a few days afterwards but I found that the skincare really helped calm this. 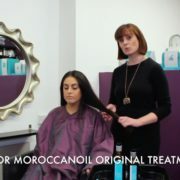 If you are considering getting this treatment I would definitely recommend taking a trip to Zinc Hair and Beauty. The therapist Janine that carried out the treatment is such a lovely girl and thoroughly explained each step of the process before and during the treatment as well as giving me an in-depth run down of my post treatment instructions and skincare. If you have any of the above concerns, a peel or even better a course of peels is definitely the way to go. You can get amazing results that you didn’t think were possible in a very short space of time. If you have a serious concern I would recommend getting regular peels and then just maintenance treatments once the condition has cleared. If you have relatively good skin then every few weeks would suffice. Again, your therapist will help you decide what best works for you and your skin. 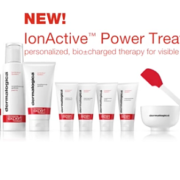 The Dermalogica Biosurface Peel will cost you €80 for one treatment at Zinc which includes your aftercare skincare kit. 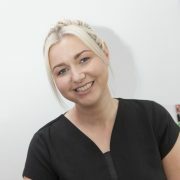 You can also purchase a course of three treatments for €200 which means that you get your third treatment half price. 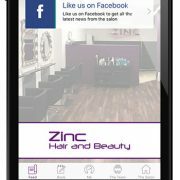 You can visit the Zinc website for bookings and information of all their treatments. Can you see that I really loved getting this treatment done? I will definitely be going back for more. Have you ever had a facial peel before? What were your experiences?